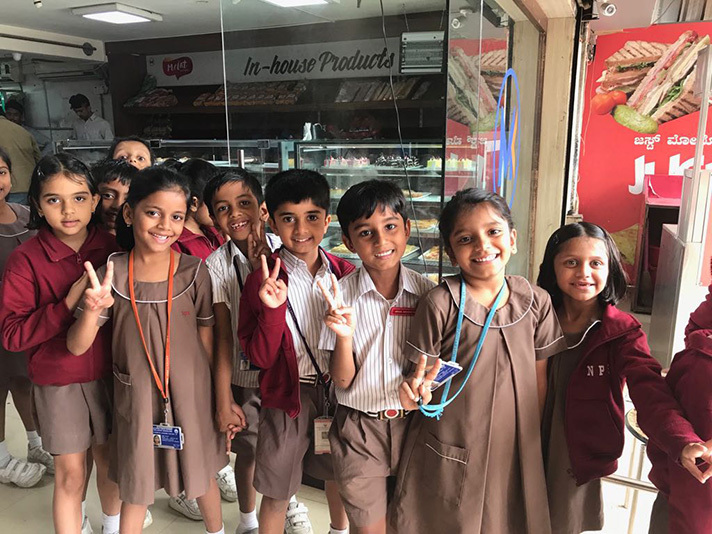 The students of Grade 1 went on a field trip to the supermarket on 2nd November 2017 as part of their lesson ‘Food we eat’. 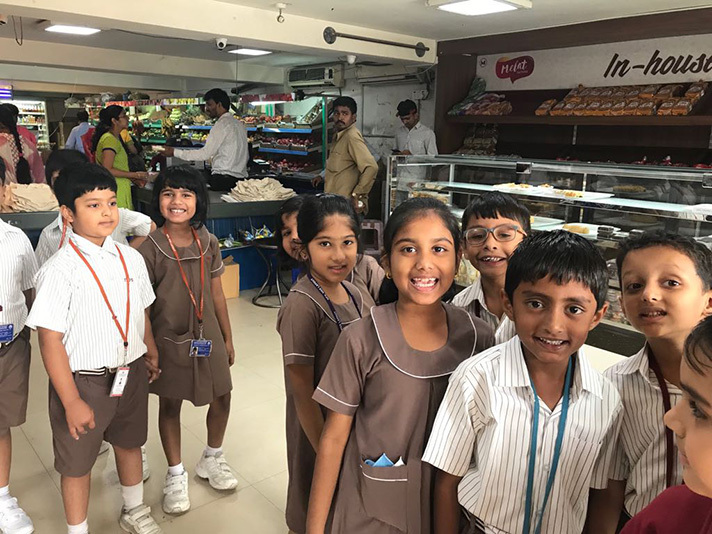 This entire educational trip was arranged to ensure that the children have an idea of the different sections in the store like the frozen food, bakery, meat, diary, canned goods etc. They identified different food items in each section which helped reinforce the importance of nutritious balanced diet, personal care and physical exercise. This educational and interactive experience is sure to leave a lasting impression on the young minds.